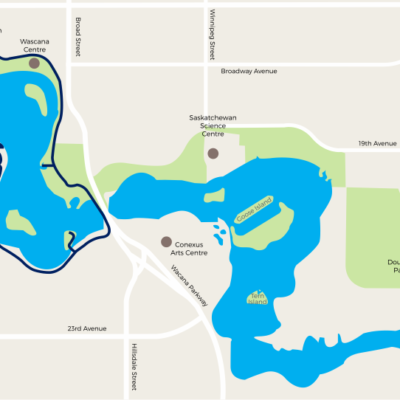 Location: Nature Conservation Tour begins and ends at the Saskatchewan Science Centre, 2903 Powerhouse Drive, Regina, SK. parking lot. 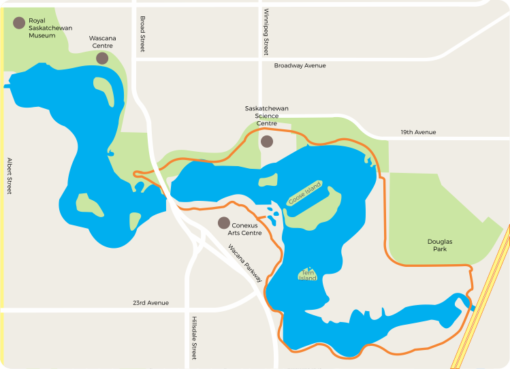 Nature Conservation Tours highlights include the Wascana Marsh (covers 6.6km), which is a federally protected bird sanctuary! 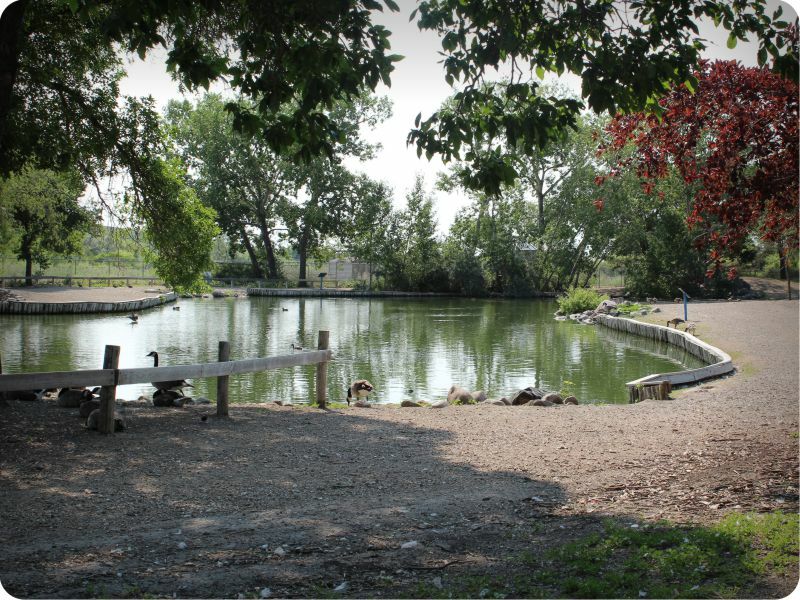 Photo opportunities at the Waterfowl Display Pond, First Nations University of Canada, Saskatchewan Science Centre and more. Route has low traffic areas and smoother terrain.